Most pet owners are familiar with how traditional groom shops work. You load your pet into the car and head off to the groomer. Once at the groom shop, your pet spends the day being cleaned and primped. One person may check them in, while another brushes and bathes, and yet another wields the clippers and scissors. Your baby hangs out in a cage while not being worked on, which is probably also where they are dried - by a hot fan hooked on the cage door to blow on them automatically, as controlled by a timer. Hours later, at the end of the day, you drive back to pick up your pet and bring them home again. 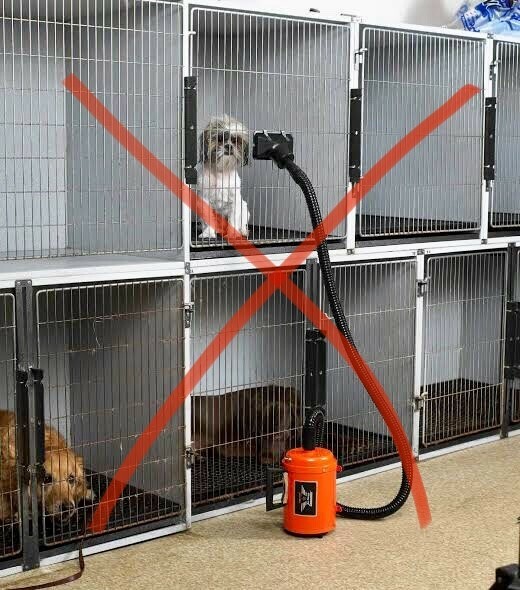 Groom shops can be happy, high energy places, but if they are good, they are busy, and if they are busy, they are typically LOUD with the sound of cage dryers and yaps of other dogs who are also spending the day there. Lots of dogs come home from the groom shop exhausted from spending practically the whole day in a state of high alert! For dogs who are nervous, elderly, or in precarious health, a day at the groomshop can be a real strain. And sometimes pet owners find the transportation back and forth to be a hassle, especially when they have several small children to ride herd on as well, or if their pets dislike car rides, gets carsick, or is just too hard to get in the car. And many people simply don't have the time to add two more trips into their day. In these circumstances, finding a good mobile groomer can be a godsend!. We bring our grooming salon right to your doorstep, and most appointments take only about an hour from start to finish. Once a relationship is established, you may even be able to have your dog groomed without having to be home yourself - saving you even more time. With a mobile groomer, your dog never has to be in a cage, and there are no cage dryers to worry about (we've all heard the scary stories about deaths from cage dryer accidents). With a mobile groomer, all blow drying is done by only one or two people who handles your dog throughout the entire process. Mobile grooming is much less stress on your dog, and much more convenient for you!. Since when that became cool?